A torrential downpour greeted guests, award winners, students, parents, friends and staff to our annual Secondary Awards Evening. 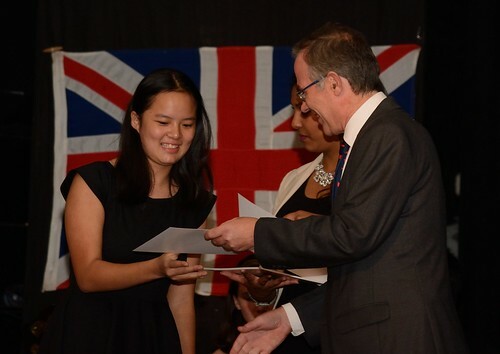 Spirits were not dampened, however, and students currently in Years 8 to 13 were presented with certificates and prizes for their achievements in the previous academic year. The awards were for progress and attainment in academics with a number of special awards for contributions to school life, music, drama and sports. His Excellency, Mr John Rankin, the British Ambassador, gave an inspiring speech and a range of students demonstrated their talents through music and the spoken word.